Photograph: Sophie Thun (c) 2017. 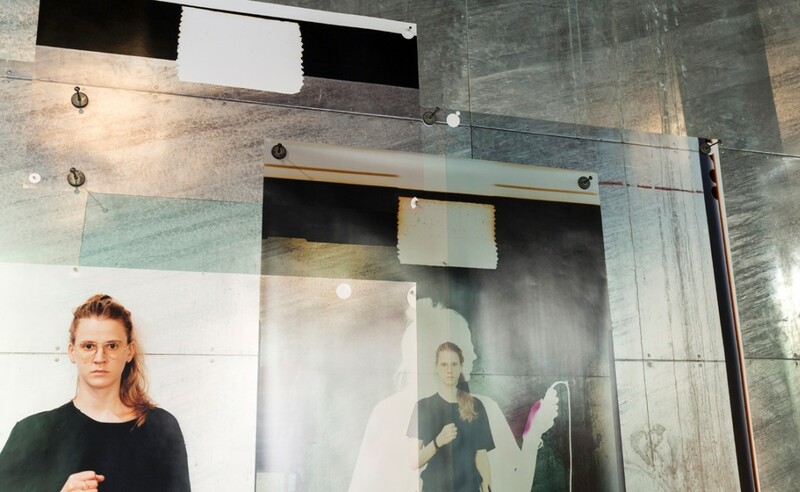 In her often performative photographs Sophie Thun deals with the relationship between space, photographic paper and her own body and her experiences with overlaying long and short-term exposures, analogue photography and the use of photograms. Sophie Thun lives and works in Vienna since 2009, where she studied at the Academy of Fine Arts. Exhibitions include Natalia Hug Gallery, Cologne; Sophie Tappeiner, Vienna; New Jörg, Vienna, Ve.sch, Vienna; The Mews Project, London; das weisse haus, Vienna; Kunstbüro WAF, Vienna; Hotel Charleroi, Charleroi; Young at Art Museum (YAA), Miami; Practice Space, Detroit; EIKON Schaufenster Q21/MQ, Vienna; Alte Post Dominikanerbastei, Vienna; ReMap Athens, Athens; Baba Vasa’s Cellar, Shabla. She is a member of the artist collective < dienstag abend >, of the feminist Hackerspace Mz. Baltazar’s Laboratory, Vienna, and of Studio 15, Vienna. In the context of doing artworks, publications and political actions, we would like to look at different methods for each that reflect on their processes of production. Through lectures, workshops and excursions various publishing formats will be reflected that show how their methods and matter of production intra-act to produce the investigated phenomena.